Two super intense episodes in a row make me pretty excited for the rest of this season. Rick doubles back solo to get their RV while Glenn and Michonne lead the rest of the useless Alexandria group back home. They seek refuge in a pet store to rest some injured people (against Rick’s wishes) where Michonne tells a member of the group who reminds her of herself that he’s going to make it home. Don’t hand out promises you can’t keep, Michonne. Most of the group succumbs to walkers, because no one listens to Rick and they never learn. Glenn’s death was foreshadowed by clues such as admiring the pocket watch that Hershel had given him, but more notably, that he called Rick a dumbass over the walkie; a true throwback to the very first episode which just breaks my heart. I can’t say I’m surprised that they killed Glen off because for some reason he was barely on last season at all, but I don’t think it was the right call being that it’s likely that he would have made it back to town. 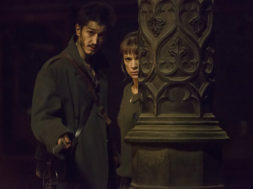 He is one of the most skilled and prepared people for survival and I don’t think that he would have really been following Nicholas’s lead like a puppy. 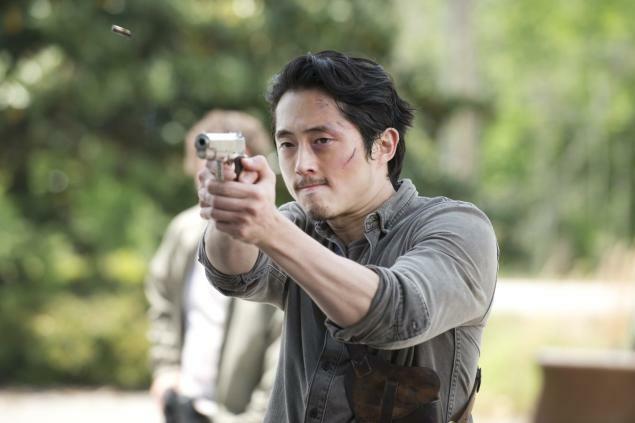 Glenn’s expertise has always been getting out of sticky situations like the one he was in before his death. Maybe it was a figment of Nicholas’s PTSD episode…!? Wishful thinking on my part, but I do think that it’s weird that his death didn’t happen at the very end of the episode like all of the other big deaths on the show. 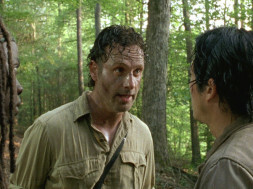 I find it interesting that Glenn was being a smartass over the walkie while Rick was killing three walkers (as one of them cut his hand with a machete stuck through their shoulder). Rick changed a lot, but maybe Glenn hadn’t changed enough. Just last episode Glenn reminded us that he was a pizza delivery guy before all of this. I think the true lesson was that Glenn just wasn’t wired for this life; he had given Nicholas a second chance, and his forgiving nature killed him. 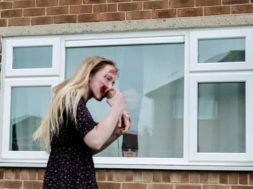 I can only hope that this kicks Maggie into hardass mode because I like her much better battling walkers than I do playing housewife in town. While Rick is waiting to meet up with Sasha and Abraham, two people who we only see for a second but we presume to be Wolves invade his RV and attempt to shoot him. We get to see more of Rick’s badass side (the best side) as he takes them both on, then uses one of their machine guns to kill three more from their group through the walls of the RV. 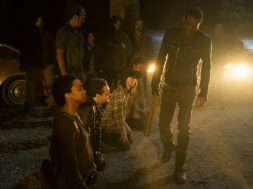 Daryl hears a scuffle on the walkie and decides to join back up with Abraham and Sasha. 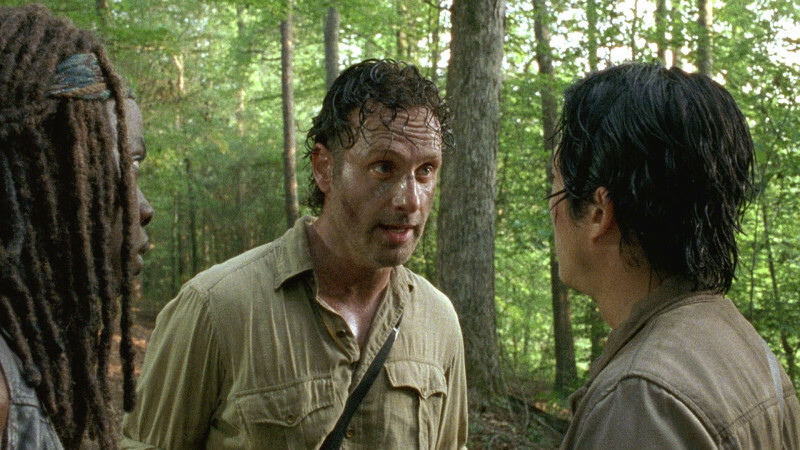 Rick discovers that one of the men he shot had baby food in his pocket. (Remember how Rick has a baby? I forget all the time.) Rick desperately tries to start the RV to get to Alexandria but the engine won’t turn over. Tons of walkers begin to close in on the RV as the episode ends. Five words……..if Rick goes, I go.